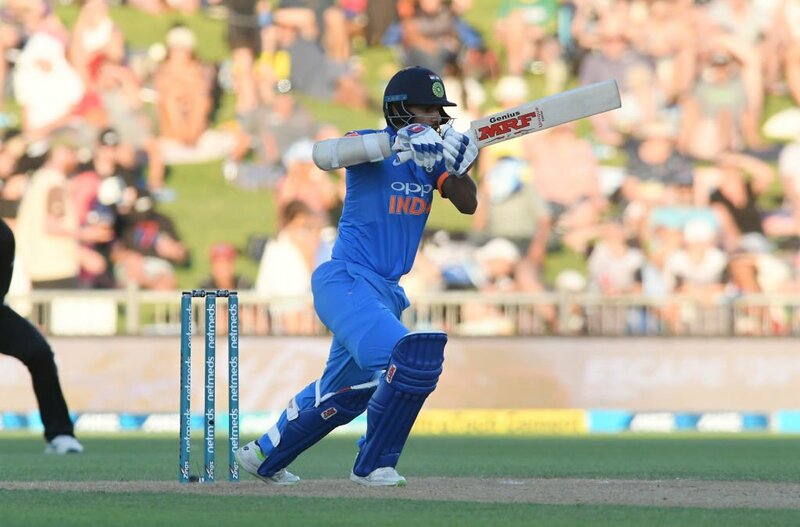 Magnificent spells by the Indian bowlers and Shikhar Dhawan's dazzling batting ensured a convincing eight-wicket victory over hosts New Zealand in the first ODI of the five-match series at McLean Park in Napier on Wednesday. 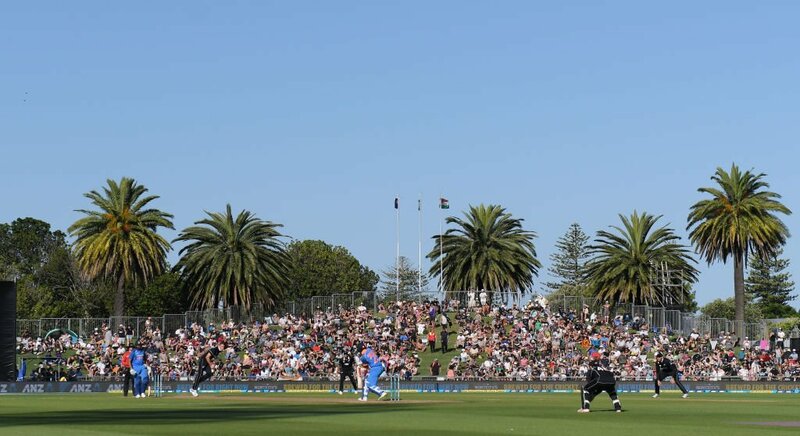 Napier: Magnificent spells by the Indian bowlers and Shikhar Dhawan's dazzling batting ensured a convincing eight-wicket victory over hosts New Zealand in the first ODI of the five-match series at McLean Park in Napier on Wednesday. Chasing a mere 158, India got off to a quick start with openers Rohit Sharma and Shikhar Dhawan scoring quick runs for India and putting the Kiwi bowlers under pressure. In the process, Dhawan completed his 5,000 ODI runs, becoming the second fastest Indian to reach the figure after skipper Virat Kohli. The opening visitors guided India to 41 without any loss of a wicket in nine overs at dinner break. Continuing their streak upon resumption, Rohit was dismissed for 11 before the match was peculiarly called off for a while, soon after Kohli and Dhawan complained of the setting sun hampering their vision, due to which they were unable to see the ball. Subsequently, the umpires and the players went off the field for over half an hour. 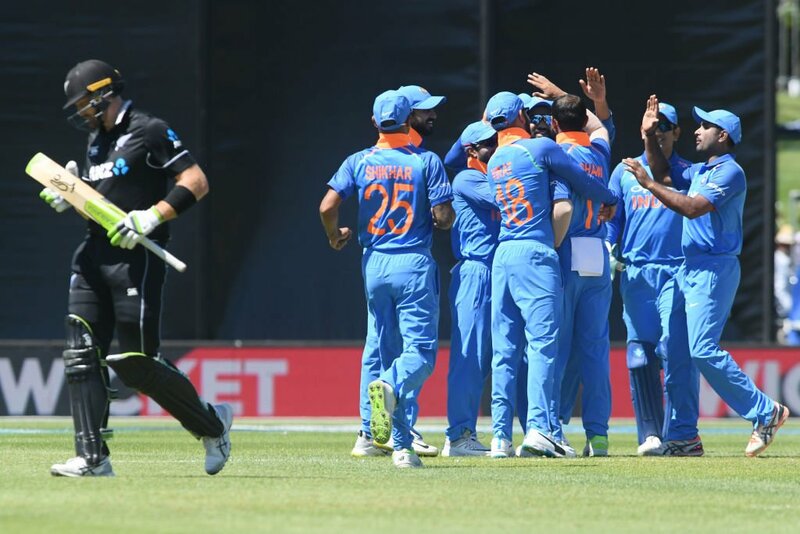 Although an over was lost due to the 'sun-break', the visitors, unperturbed, continued to milk runs as New Zealand bowlers failed to apply pressure on the Indian batsmen. Kohli and Dhawan in the middle led a match-winning 91-run partnership before the Indian captain was dismissed for 45. Dhawan's (75*) heroics continued alongside Ambati Rayudu (13*) as the duo finished off the opening ODI in style. Earlier, the hosts failed to put up an impressive show after opting to bat in the series opener. Kiwi captain Kane Williamson top-scored with 64 runs off 81 balls, which included seven boundaries. Pacer Mohammed Shami inflicted an early damage to leave the hosts two down within four overs&nbsp;and became the fastest Indian to take 100 wickets in the process. Williamson and former captain Ross Taylortried boosting their side in the middle. But Taylor's (24) dismissal left his captain stranded and led to the untimely crumbling of the Kiwi batting line-up, folding for 157 runs in 38 overs. 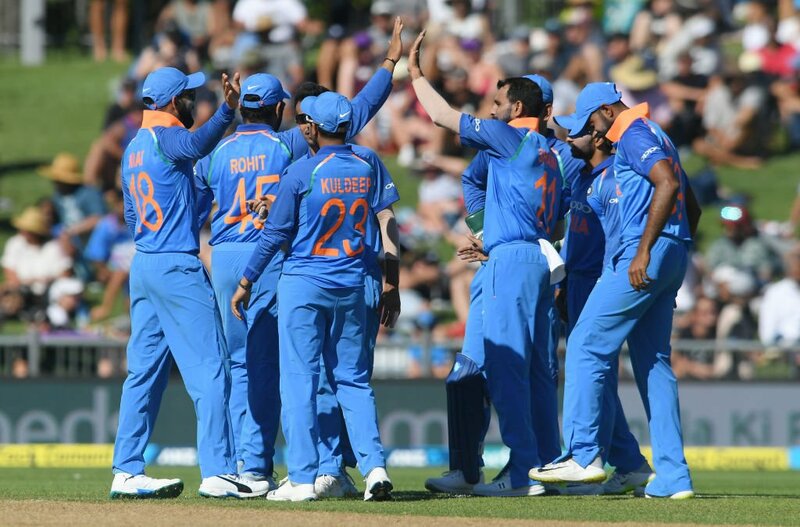 Spinner Kuldeep Yadav spun a web around the New Zealand batsmen, claiming four wickets, while Shami ended with three wickets to his name. Joining the party, Leg-spinner Yuzvendra Chahal added to the pressure with two wickets and part-timer Kedar Jadhav chipped in with a wicket.